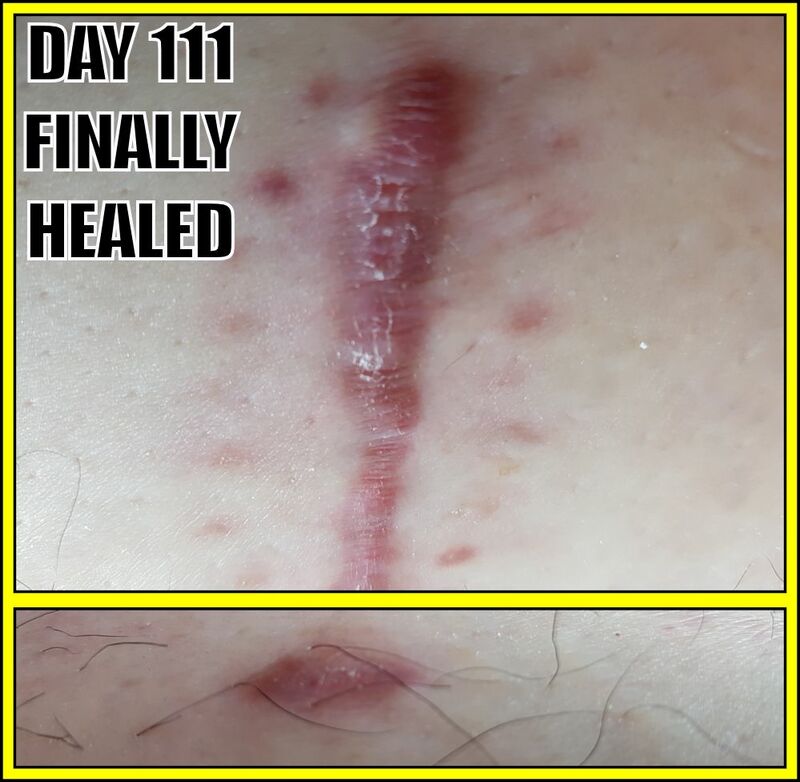 I still have not one clue why this one small spot took so dang long to heal, but on day 111 the wound seems to be healed finally. The drain hole took a bit long to heal as well, but it was no where near as long as the top of the incision. You can see where the dead skin is - that is where the part that took so long was. It even got infected at one point. Thank God it was not a bad infection.